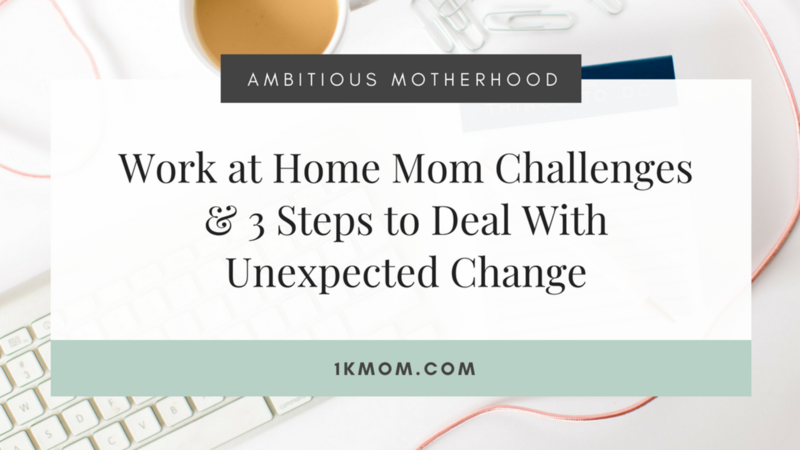 There are work at home mom challenges that we deal with on a daily basis! It’s hard stuff! 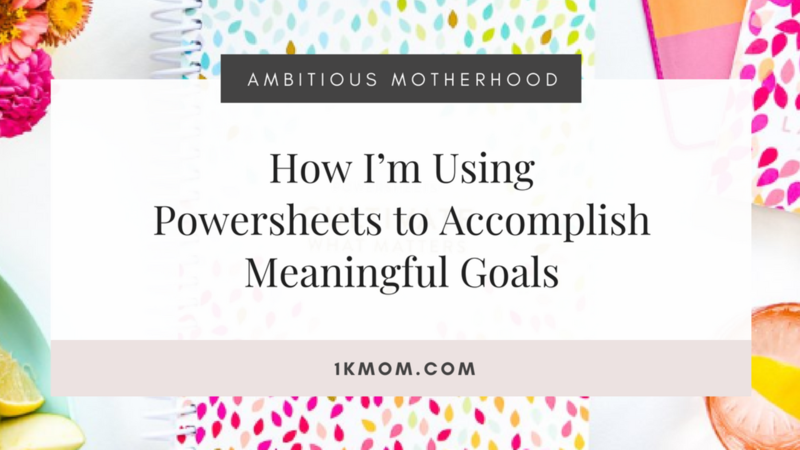 When you’re a mom and you work from home, sometimes your plans (as awesome and well intentioned and systematized as they are) can go to crap…in a heartbeat. 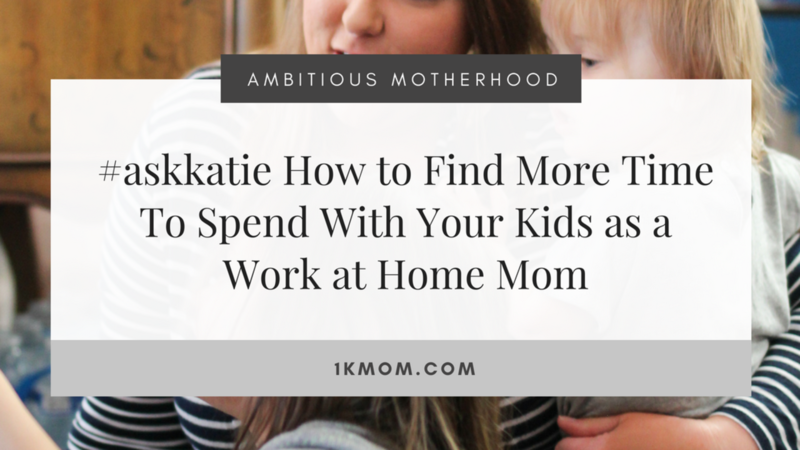 In today’s bonus episode on the $1k Mom podcast, Katie is sharing 3 steps to take when your work at home mom plans go crazy! We can lose it or we can get it together and do these 3 things. When this happens. 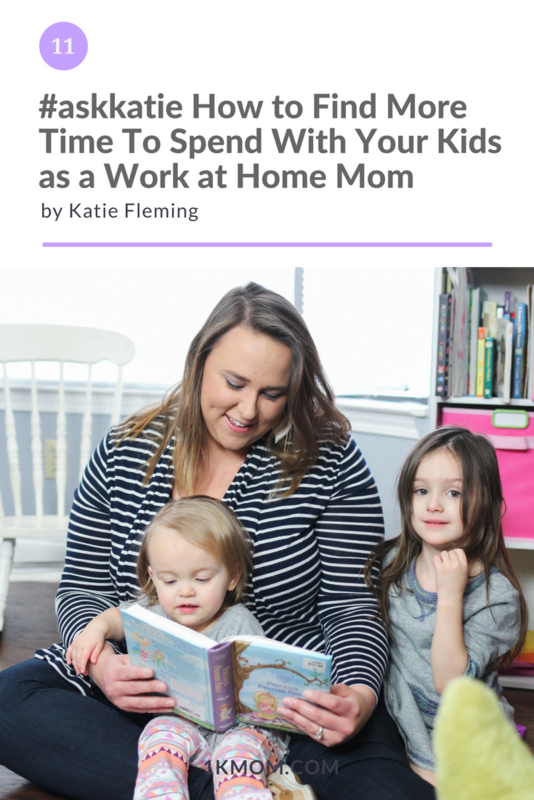 As a mom, running a household and a business, there are a few ways we can react. The first way is, we can lose it and just flip out. Letting it control our entire day. Letting our day run us and be ruined by an uncontrollable situation! The better and sometimes harder thing to do, is to say OK…this is what has happened, now how do we solve it? And then get yourself into problem solving mode! 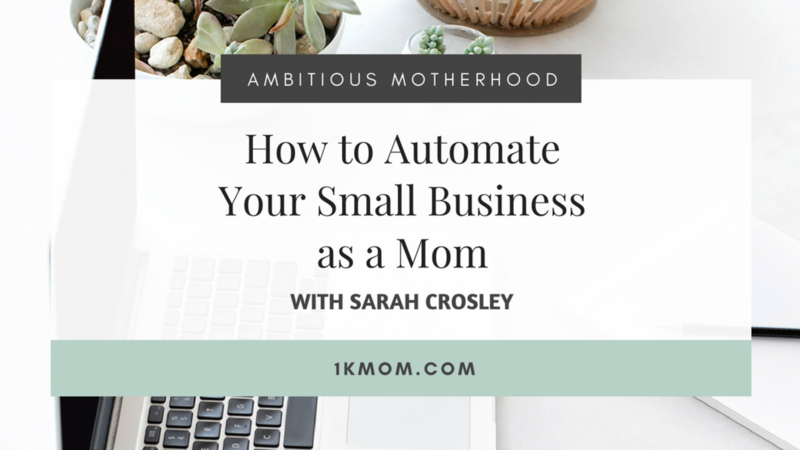 Networking as a mom and building connections to grow our businesses is often hard when we are raising kids, home bound with potty training toddlers and consumed with playing taxi for all the activities our family is involved in. 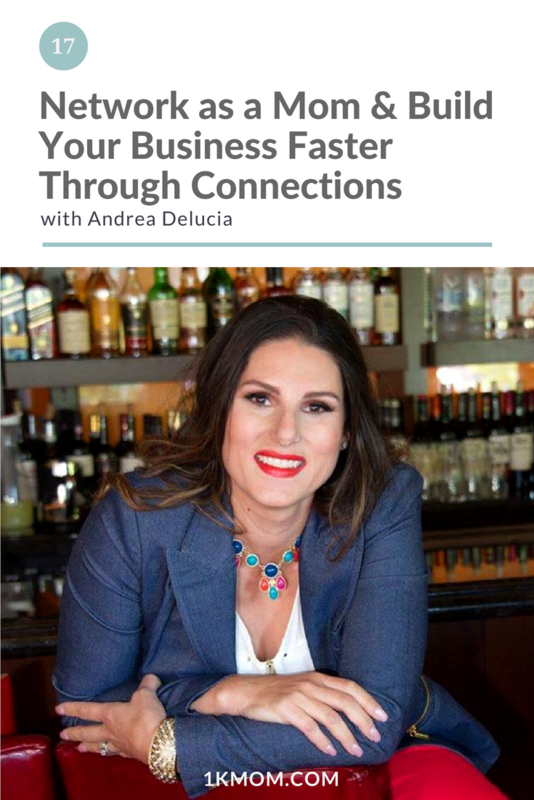 There is no doubt about it that making genuine connections and networking can be what makes the difference in growing your business and can help you grow it faster! 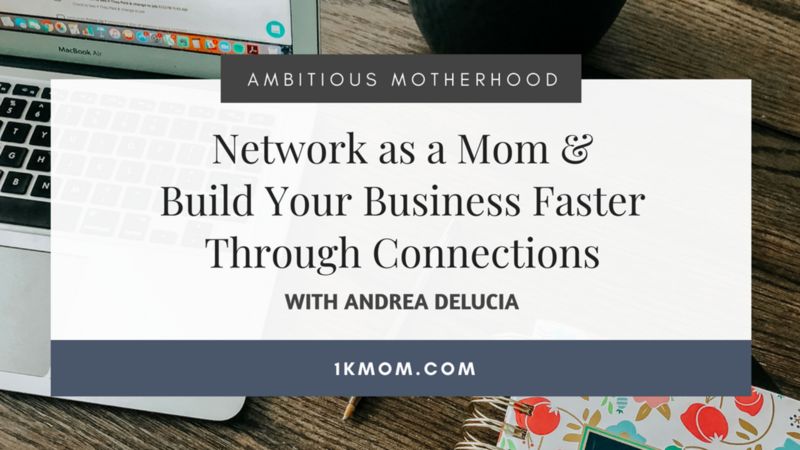 In today’s podcast episode with Andrea Delucia, we talk about motherhood, business and networking as moms. 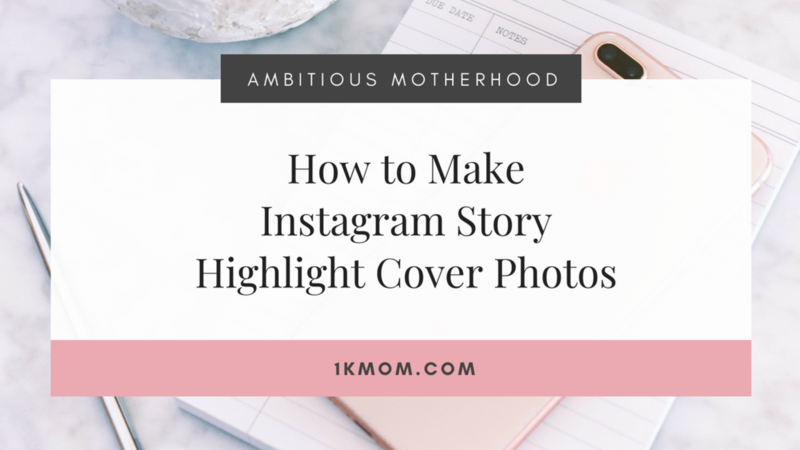 When it comes to social media, hands down, my most favorite place to hang out is on Instagram, specifically on Instagram Stories! Have you used Instagram Stories?!!? Of course, always do your research to figure out where your ideal customer is hanging out on social media, but if it’s Instagram, get on Instagram Stories, now!!! Sharing 10-11 Instagram stories a day is powerful for two reasons. It allows you to find your authentic voice in the online space. If you feel nervous to share, on social media, then do my Instagram Story hack and share 10-12 stories a day for a week! See if you don’t come into your own true voice! It allows your audience to connect with you at a more personal level. 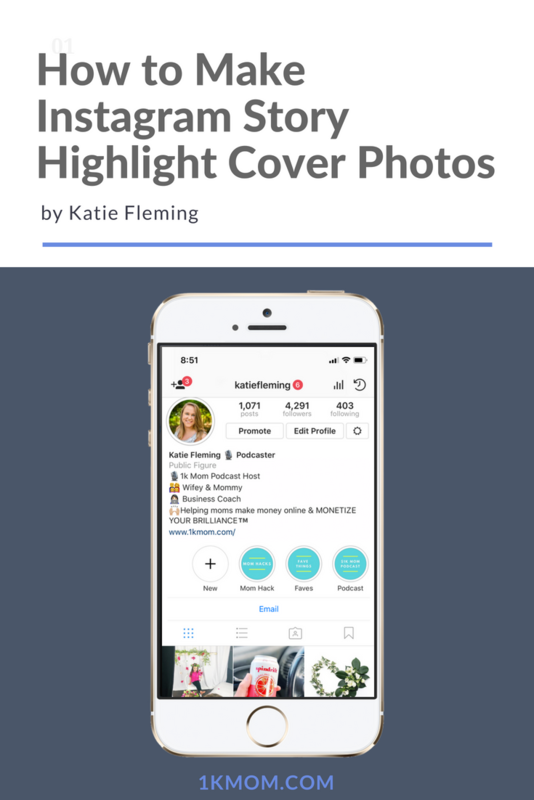 When they connect, they’ll start caring more about what you’re sharing on your profile, on your blog, and most importantly, they’ll start caring more about what you’re selling! 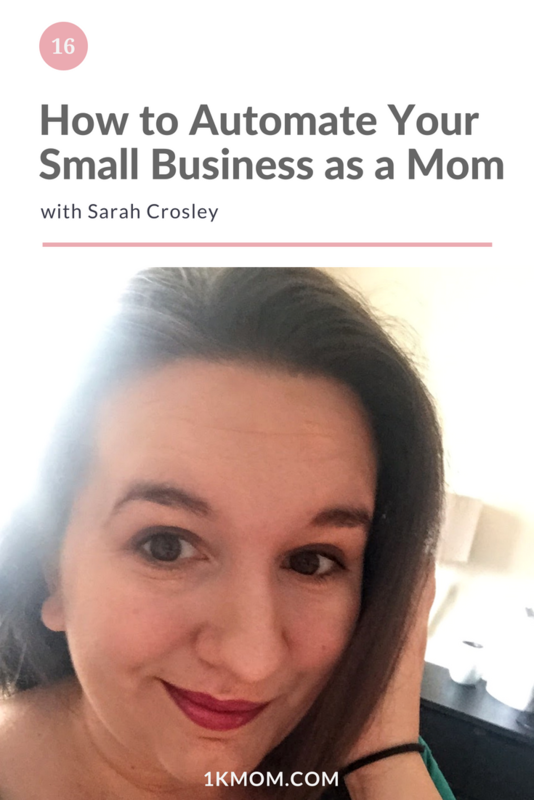 In this conversation with Sarah Crosley we talk about her journey from starting an etsy business to using automation, tools and passive income to scale her business while homeschooling and raising her family. I got my start in a similar place as Sarah, creating Etsy shops, figuring out how many keychains I’d have to sell to make a viable income. I quickly realized just like Sarah, that with the price point of my shop, it just wasn’t feasible. In this case, don’t give up, just pivot! All the steps along the way matter in leading up to your next best thing! Sarah is the founder and lead designer of The Creative Boss. 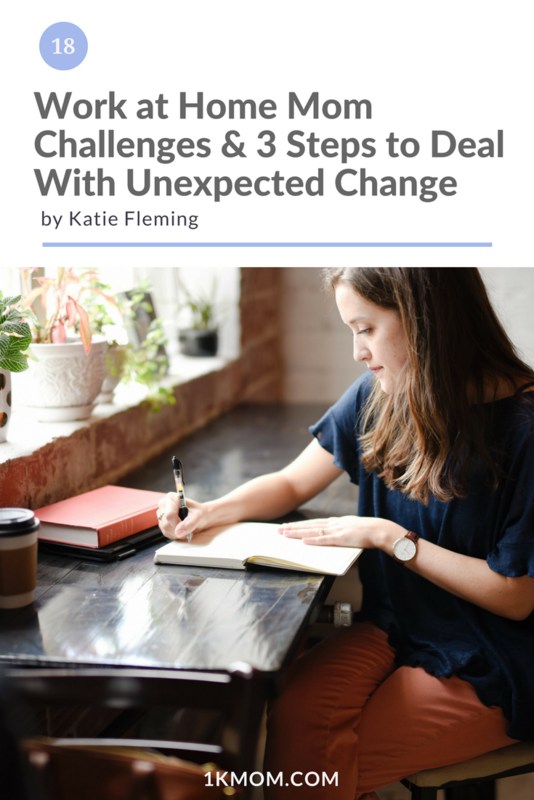 After years of running handmade shops on Etsy and scouring the interwebs for tips and advice on how to grow and succeed online, she knew that there needed to be a change! The Creative Boss was launched to offer a one stop shop for busy creatives who want to succeed online with ease. I love featuring moms who have successfully started a business. 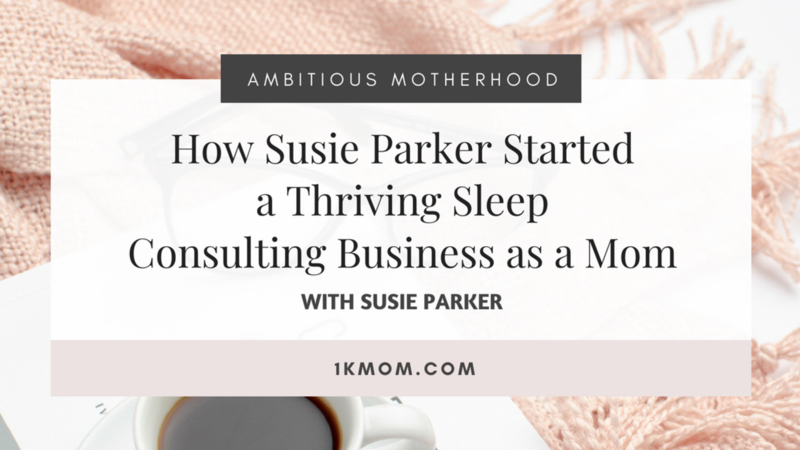 In this episode of the $1k Mom podcast we chat with Susie Parker who started a thriving sleep consulting business. 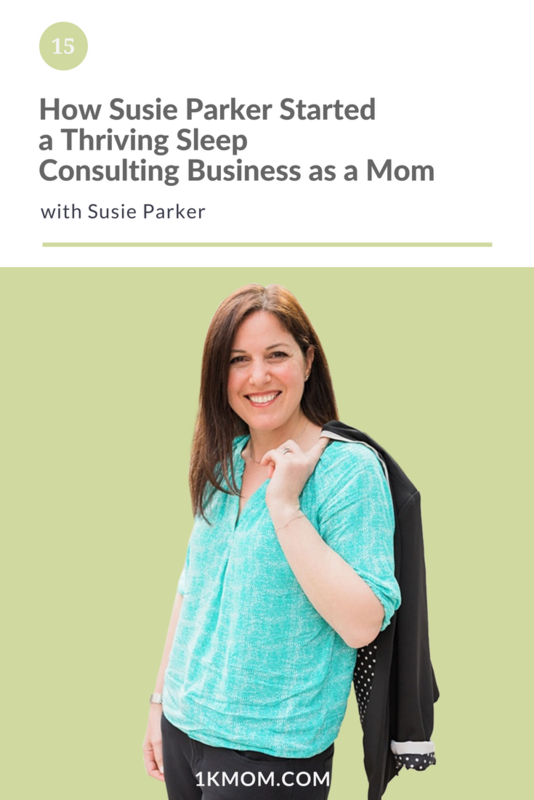 What is a sleep consultant? How does the 4 month sleep regression effect parents, how can we create a good sleep environment for our kids and establish healthy sleep habits? We cover a lot in this episode from business to sleep habits. We all want to know how to accomplish our big goals and make what we want happen in our lives! Often times we can fall into the trap that it is one thing, one big push of action, one magic strategy, that pushes us to reach that goal. But the reality is, it’s a lot of tiny steps in the right direction that bring us to our “ultimate” destination. It’s not as glamorous and can often feel like no progress is being made, but I truly believe what Lara Casey says, that the Little by Little progress adds up! 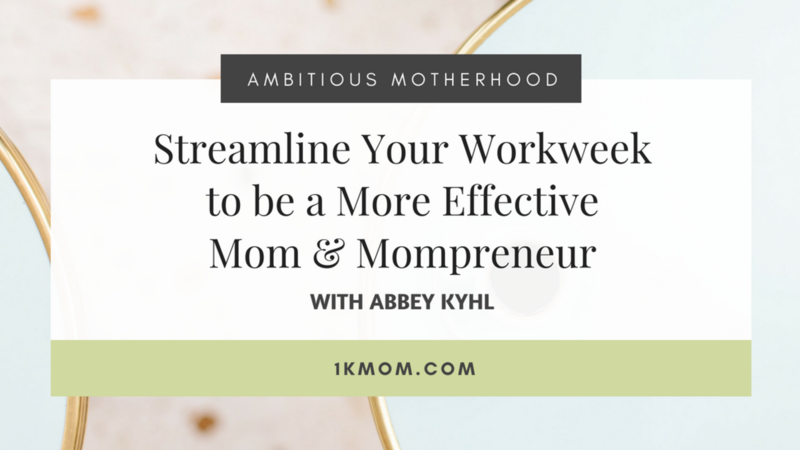 How to build a business and streamline your workweek to be a better mom and mompreneur. 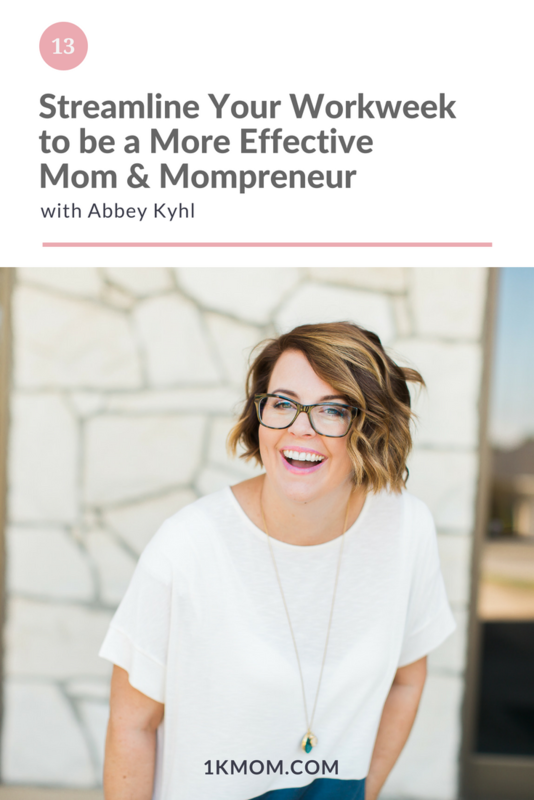 I love during this episode how Abbey Kyhl talks about how she built her business to be a benefit to her family and not a burden. There are so many tangible things to take away from this episode! Let us know on Instagram what you loved about it! Hey there! I am Abbey. I started in business a decade ago when I opened my own photography studio, AK Studio & Design. I was just like so many others out there. I struggled to figure out how to run a profitable, effective business that made me happy and wasn’t a burden on my family. Have you ever felt that way? Do you stay up long after everyone else has gone to bed? Do you entertain your kids with technology so you can sneak work in? I have been there and I know how that makes us feel as both business owners and parents and it isn’t good. Each one of our kids has greatness inside of them and their own unique talents and abilities and callings. 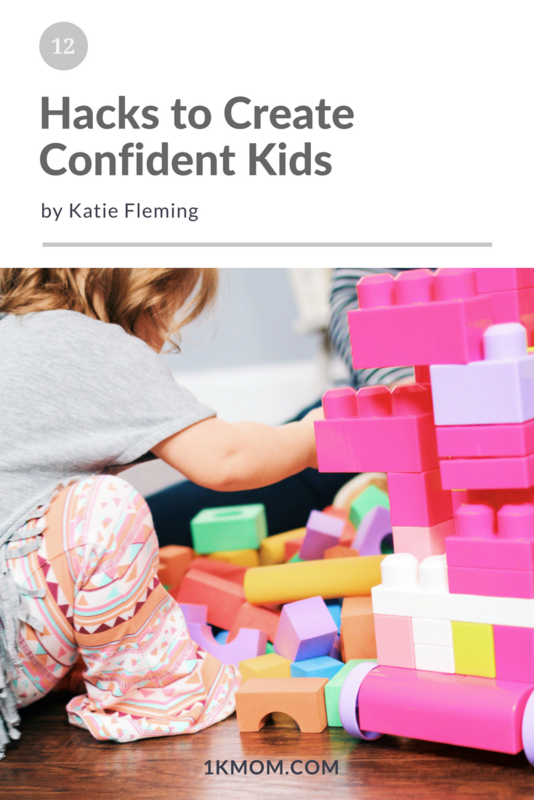 How can we as parents instill confidence in our kids? 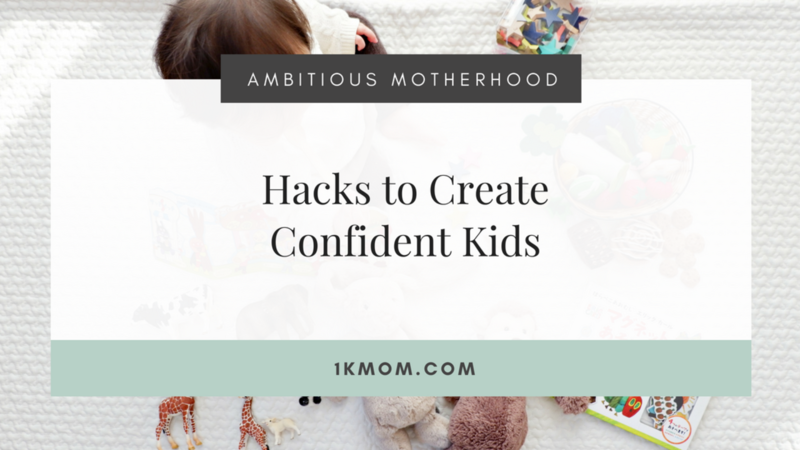 If you have a small or big way in which you create confidence in your kids, I’d love to hear how you do that. DM me on Instagram and let me know. I will create a big montage of all of our $1k Moms and how we create confidence in our kids, big or small. Take advantage of every little or big opportunity that you have to show your kids that they are PRETTY BIG DEALS. Help them step into that confidence. It takes a lot more effort and time to build up confidence in our kids but it’s super easy to tear down their confidence. Be very aware of how our words, actions and environment is affecting their confidence. This is the first #askkatie episode! If you aren’t already in our $1k Mom Community, head on over right now to the $1k Mom Tribe where you can join us and ask your questions! I would love to feature you and your question on the next Ask Katie episode. At any time during today’s episode, screenshot the episode and post it on your Instagram stories and tag me! Would love to feature your post! Have spontaneous dance parties with your kids! 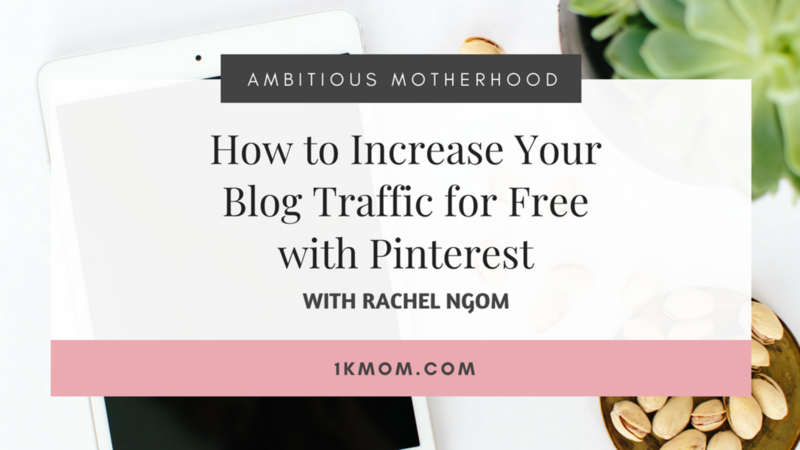 Learn how to increase your blog traffic for FREE with Pinterest! 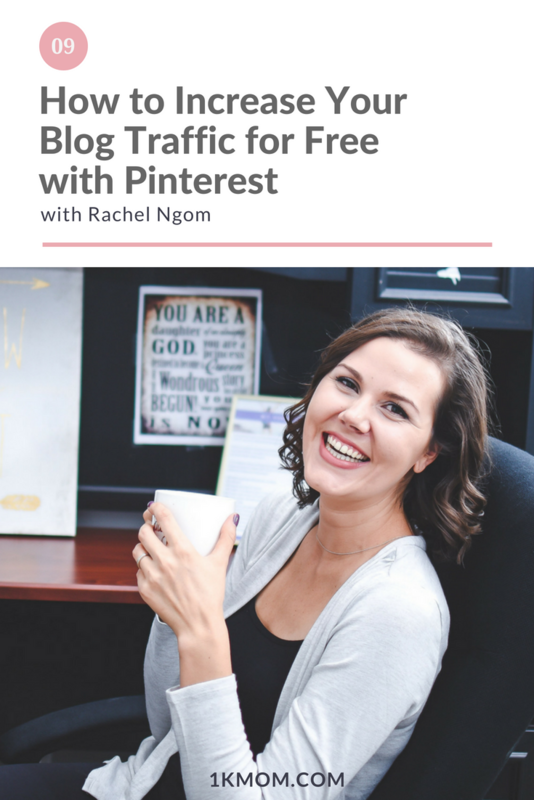 Rachel Ngom is a Pinterest strategist who gets over 700,000 monthly viewers on her Pinterest account. She went from being on food stamps with negative $400 in her checking account to earning $80,000 the following year, to over $100,000 the next year. It’s now her passion to share her pinning secrets with other female entrepreneurs so they can grow their influence, income, and impact! Rachel has lived in Kenya, met her husband in Senegal, got married in Morocco, and spent the last year living in France.